The SpringerLink Online Journal collection is still available on-trial until October 10, 2008. You may now post your reference questions online and get feedback from the College of Engineering Library II instantly! On the engglib2 website, go to E-RESOURCES. Click ‘join chat‘. To go directly to the e-reference desk, click image. *Online during office hours, i.e. from 8am to 6p.m., Monday to Saturday. 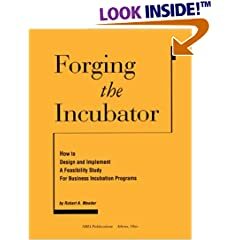 The book’s four main sections and 71 chapters cover fundamentals of incubator development, best practices in incubator management, working with clients and special topics in business incubation. Whether you’re new to the industry or think you’ve seen it all, this book will introduce you to new people, new programs, and new ideas for helping your incubation program achieve its full potential. This in-depth study is the first to sort out what effects business incubation versus environment have on company success. Using technology incubators as a test group, researcher David Lewis uncovers information that has implications for incubator programming and regional policy. Author written by Robert A. Meeder edited by JoaAnn Rollins. This book discusses the need to conduct a feasibility study and the steps in creating plans and the primary tracks such as fact-finding and orientation; creating a format for the prelominary plan; focus on facilities and services; funding/finances and preparations for implementation. Click on the image to view the book’s table of contents and some page extracts. Technology-based entrepreneurial firms are an integral part of the knowledge economy, and business incubation programs focused on technology-based companies play a crucial role in accelerating the growth of these firms. NBIA performed a national benchmarking analysis to gain a better understanding of technology business incubation best practices. Cases studies, data on incubator characteristics, descriptions of community factors and more provide valuable information for incubator developers, managers and stakeholders. Click on the image to view the table of contents and some page excerpts. Place of Publication Avon, Mass. The book that can turn any I.T. rep into a one-person selling machine! Information technology products continue to be the fastest-selling industry in the world. Today, about 7 million people worldwide are involved in selling I.T. solutions, and the number is growing by an astonishing 60 percent a year! I.T. Sales Boot Camp does far more than just basic training. Drill sergeant and author Brian Giese also offers a “secret weapon” for pushing sales way over the top and ensuring satisfied customers every single time! Licensing is an important source of revenue, especially in technologically-driven industries. 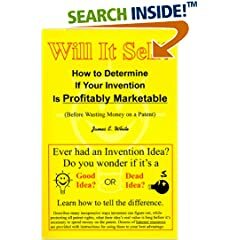 This book takes inventors and corporate managers from original idea to final deal. In practical, down-to-earth terms, it outlines the step-by-step process of developing and implementing effective technology licensing programs, including market research and market strategies; licensing strategies; deal-making; and managing ongoing relationships between licensee and licensor-quality control, maintenance, and reversion of rights. Author Jerry Lee Ford, Jr. Targeting the novice, this guide teaches the basics of computer programming with Ruby through the creation of simple computer games. Not only will this “learn by doing” approach provide programmers with an instant sense of accomplishment, but its also a fun way to learn. With more than 4 million active installations, MySQL is the world’s most popular open-source database. The “MySQL Language Reference” is the only official guide to the MySQL language and programming APIs. Written by the creators of MySQL, and edited by the highly respected MySQL authors, the “MySQL Language Reference” is designed for database administrators and programmers who need a reliable, detailed reference to every part of the MySQL language and all the available APIs. Author Gabriel Ciobanu, Gheorghe Paun, Mario J. Pérez-Jiménez (eds.). Membrane computing is a branch of natural computing which investigates computing models abstracted from the structure and functioning of living cells and from their interactions in tissues or higher-order biological structures. The models considered, called membrane systems (P systems), are parallel, distributed computing models, processing multisets of symbols in cell-like compartmental architectures. In many applications membrane systems have considerable advantages a” among these are their inherently discrete nature, parallelism, transparency, scalability and nondeterminism. Author Aaron R. Bradley, Zohar Manna. This textbook also presents a logical approach to engineering correct software. The increasing ubiquity of computers makes implementing correct systems more important than ever. Verification exercises develop the reader’s facility in specifying and verifying software using logic. The treatment of verification concludes with an introduction to the static analysis of software, an important component of modern verification systems. Management information systems, 9th ed. 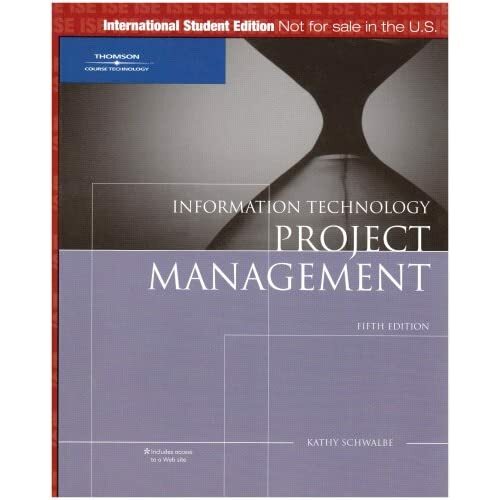 Information technology project management, 5th ed. The author explains the foundations of project management – project integration, scope, time, cost, quality, human resources, communications, risk, and procurement – using the experiences of real-life businesses. Discovering Computers 2008 provides a current and thorough introduction to computers by integrating usage of the World Wide Web with the printed text. This Shelly Cashman Series text offers a complete and engaging solution to successfully teach basic computer concepts with new exercises, case studies, and online tools on the Online Companion. Updated for currency, the latest trends in technology and computer concepts are covered. 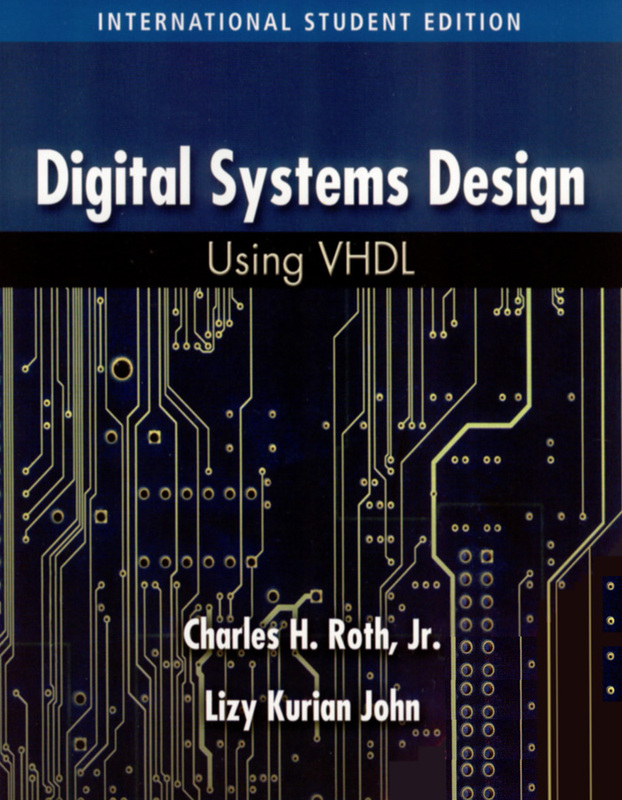 Written for an advanced-level course in digital systems design, DIGITAL SYSTEMS DESIGN USING VHDL integrates the use of the industry-standard hardware description language VHDL into the digital design process. Following a review of basic concepts of logic design in Chapter 1, the author introduces the basics of VHDL in Chapter 2, and then incorporates more coverage of VHDL topics as needed, with advanced topics covered in Chapter 8. Rather than simply teach VHDL as a programming language, this book emphasizes the practical use of VHDL in the digital design process. For example, in Chapter 9, the author develops VHDL models for a RAM memory and a microprocessor bus interface; he then uses a VHDL simulation to verify that timing specifications for the interface between the memory and microprocessor bus are satisfied. The book also covers the use of CAD tools to synthesize digital logic from a VHDL description (in Chapter 8), and stresses the use of programmable logic devices, including programmable gate arrays. Chapter 10 introduces methods for testing digital systems including boundary scan and a built-in self-test. Author Donald Thompson, Rob S. Miles. Your essential guide to developing applications for next-generation embedded devices. Critical Information sections provide detailed analyses of the key issues for each exam objective. Necessary Procedures sections cover the nuts and bolts of each topic with concise step-by-step instructions. Exam Essentials sections highlight crucial subject areas you’ll need to know for the exam. Key Terms and Concepts sections define the words and concepts vital to passing the exam. Sample Questions sections preview the types of questions found in the exam and give answers and explanations. Author edited by Wanjun Wang, Steven A. Soper. Microelectromechanical systems (MEMS) are evolving into highly integrated technologies for a variety of application areas. Add the biological dimension to the mix and a host of new problems and issues arise that require a broad understanding of aspects from basic, materials, and medical sciences in addition to engineering. Collecting the efforts of renowned leaders in each of these fields, BioMEMS: Technologies and Applications presents the first wide-reaching survey of the design and application of MEMS technologies for use in biological and medical areas. This book considers both the unique characteristics of biological samples and the challenges of microscale engineering. Divided into three main sections, it first examines fabrication technologies using non-silicon processes, which use materials that are appropriate for medical/biological analyses. These include UV lithography, LIGA, nanoimprinting, injection molding, and hot-embossing. Attention then shifts to microfluidic components and sensing technologies for sample preparation, delivery, and analysis. The final section outlines various applications and systems at the leading edge of BioMEMS technology in a variety of areas such as genomics, drug delivery, and proteomics. Laying a cross-disciplinary foundation for further development, BioMEMS: Technologies and Applications provides engineers with an understanding of the biological challenges and biological scientists with an understanding of the engineering challenges of this burgeoning technology.